When my kids were little, there were days I hardly sat down! I longed for the days when they were older when I cold get a little rest. Well, guess what? They are teenagers now and I am busier than ever! I love it, honestly I do! But there are days I have so much running around to do that I can let dinner slip past me. Ugh! On days as hectic as that, I may not have a made-from-scratch meal, but I have the next best thing! 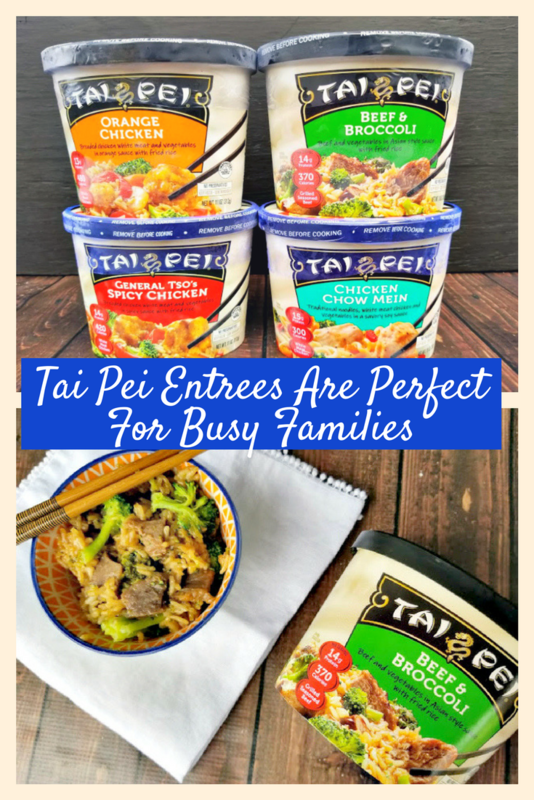 I discovered that the Tai Pei entrees are perfect for busy families like mine. Who would have thought you could get this much delicious goodness in one container?! Oh Tai Pei, how do I love thee? There are so many reasons! Just because I am busy does not mean I want to skimp on quality when it comes to our meals. The Tai Pei Asian Food entrees are made with real, pure ingredients, which is important to me. What you won’t find are any preservatives or artificial ingredients. Caitlin has class two days a week this semester and at school for 8 hours. I pack her favorite Tai Pei entree in her lunch box. On her break, she can head to the cafeteria and prepare a yummy meal in just minutes in the microwave. 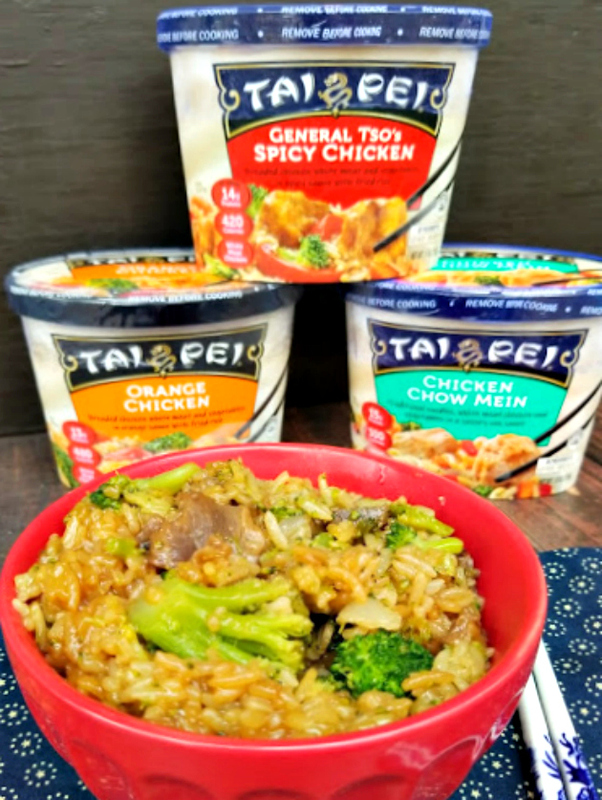 The Tai Pei entrees are perfect for families AND busy college students! If your family often cannot decide on what to eat for dinner, Tai Pei has you covered. With so many choices and interesting, delicious dishes, there is surely a meal everyone will love. 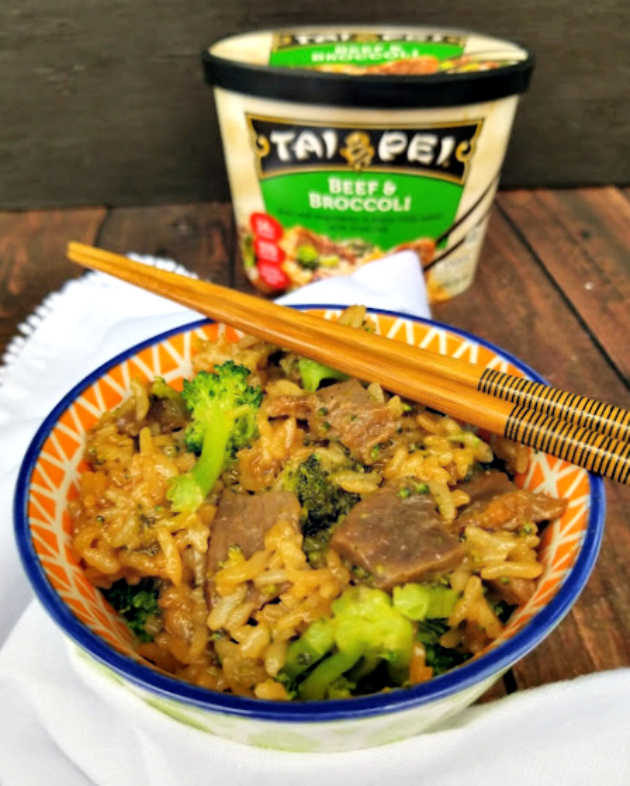 With this much variety and flavor, Tai Pei will bust the typical boredom with those ho hum everyday meals we tend to eat! 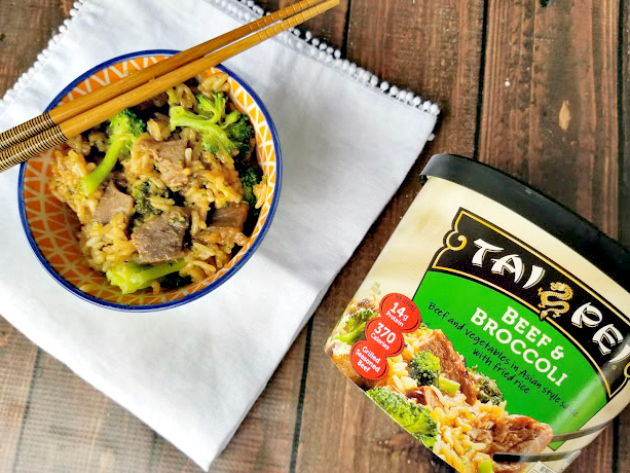 Use the store locator to find where Tai Pei single serve is available near you. Just look in the frozen food section! Tai Pei entrees offer a wide range of choices each made with flavor-infused rice. 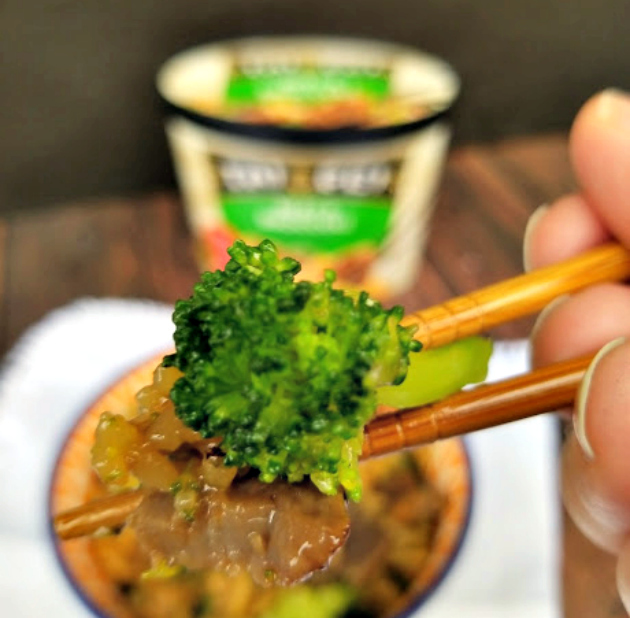 I love the Beef and Broccoli and Caitlin cannot get enough of the Chicken Chow Mein. My husband just discovered the Shrimp Fried Rice. I think we are going to tackle each of the 15 entrees ASAP! Be sure to follow Tai Pei on Facebook, Twitter and Instagram. How would you like to win one of 13 prizes? 10 entrants will win a $100 Walmart gift card and 3 people will win a grand prize in the form of a $500 Walmart gift card! The contest ends 3/5/2018, so hurry! I-C will randomly select 13 winners from all program entries and will facilitate fulfillment of the winning prizes. 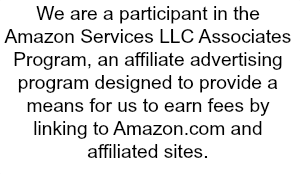 Leave us a comment and enter using the form below. Good luck! I get the orange chicken often, I love it but all their products are good. I love these products………..easy to prepare and great tasting. Love them all! Hoping to win! Tai Pei looks convenient and tasty. I’m excited to try the JAPANESE STYLE CHICKEN MEATBALLS, they look pretty darn good. Thanks!